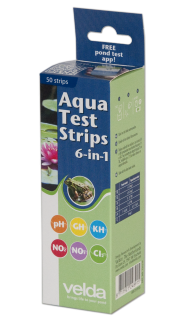 Using Aqua Test Strips you can determine quickly and simply the 6 most important water values, the acidity, the total hardness, the carbonate hardness, the nitrite, nitrate and chlorine content. 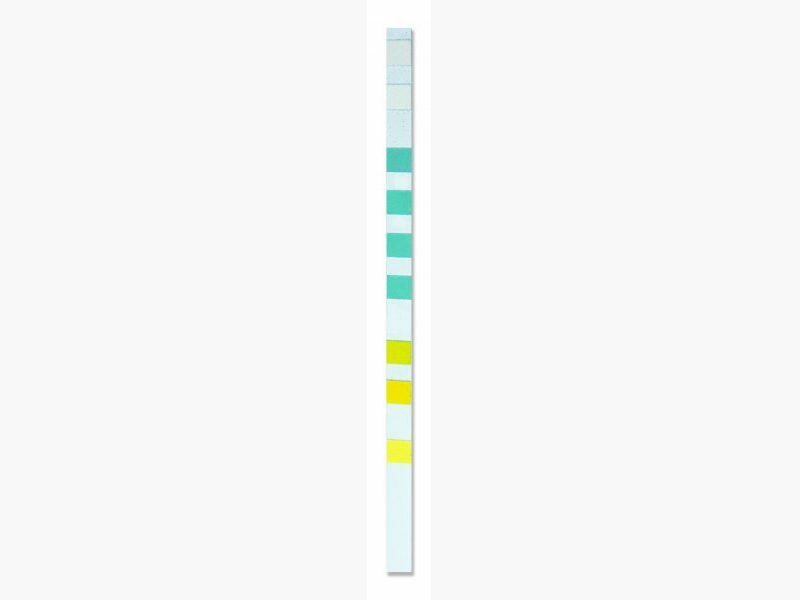 • Submerse the test strip in the water for 1 second. • Shake off any excess water and wait circa 1 minute. 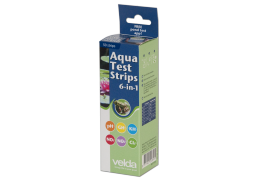 • Subsequently compare the colours of the strip with the range of colouring on the shaft. Keep the strips dry and cool. Close the plug at once after use. Prevent temperatures above 30°C.